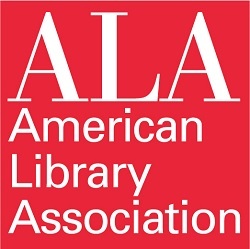 The past weekend saw the American Library Association’s Annual conference (ALA Annual) in Las Vegas. As an Australian on a budget, sadly your humble editor was unable to attend – but the IGD team, and the Games and Gaming Round Table (GameRT) more generally, were well represented. GameRT President and IGD Chair Diane Robson has prepared the following report (which includes material from other reportage by Member-At-Large Brian Mayer, excerpted with permission and linked below). The Games and Gaming Round Table (GameRT) had a banner year at the American Libraries Association Conference in Las Vegas. The round table’s first event was a preconference session on Meaningful Gamification presented by Dr. Scott Nicholson, director of the Because Play Matters Game Lab. About fifty attendees learned about gamification, motivation and goals, as well as ways to effectively reward participants. Participants spent the 3 hours immersed in material that Nicholson has been known to spend an entire term at Syracuse University teaching, through an mixture of listening to him speak and then working through sections of a binder. At the conclusion of the session, participants left equipped to take an initial concept and to turn it into meaningful play. The conference was of course opened with a keynote by world-renowned game designer Jane McGonigal – we’ll post a link to video of her presentation if and when we get one, but meanwhile here are a couple of short interviews with Dr McGonigal on The Impact of Video Games and The Impact of Libraries. Friday at 5pm, the Exhibit Hall opened to a mad rush of librarians, and this year GameRT had an exhibit booth. 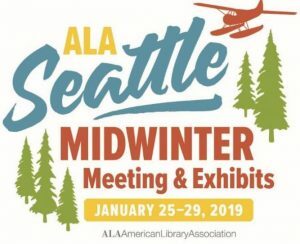 For this one year we were able to showcase our Round Table and allow a couple of game publishers see the benefit of connecting with librarians at the Annual convention. GameRT handed out information about our convention programs and the Round Table, International Games Day brochures, and branded key chains. Hundreds of librarians stopped by to talk to the two publishers, Eagle/Gryphon Games and Mayfair, as well as to learn about what GameRT has to offer librarians interested in games and gaming in libraries. On Friday night, GameRT and the ALA Comic Book and Graphic Novel Member Initiative Group hosted annual celebration ALAplay – which saw a space twice the size of last year’s event filled to the brim, despite ALAplay being held in Caesar’s Palace rather than in the main convention center! More detail below. On Saturday, GameRT’s featured program was Come Make a Game, another fascinating presentation by Dr Scott Nicholson that had people playing and creating all at once. More information is included below! And lastly, Sunday afternoon saw a gathering of the handful of the IGD volunteers who made it to Annual (plus one who Skyped in from the following morning in Australia) – in the end it was not a huge number of us, as only half the US team made it to Annual and not all of those could make it to our meeting, but nonetheless it was great to have a chance to meet face-to-face and celebrate all we’ve achieved thus far – and the year we look like having. We were joined by Pierce Watters of Paizo Publishing, who was extremely enthusiastic about the future of games in libraries and volunteered to try and bring more publisher participants to ALAplay and other ALA activities next year. Thanks to Brian Mayer for being a reporter for the ALA Annual GameRT programs. Another thank you goes to Jenny Levine who helps us make it all happen! ALAplay 2014, hosted by GameRT and the ALA Comic Book and Graphic Novel Member Initiative Group, attracted about 300 people with an evening full of fun and learning. ALAplay is a space where the graphic novel, cosplay and gaming communities collide. This year the following publishers were able to join us to showcase their games. HL Games, the publishers of Word Winder, a word-search game designed by David L. Hoyt of Jumble fame, had a giant version of its game for attendees, who got to kick off their shoes and get spelling. Eagle and Gryphon Games brought out several tables full of their games and had on hand one of their main designers, Alf Seegert, who walked people through many of his designs, both current and upcoming. Mayfair Games had a number of titles for demonstration, including its wildly popular Star Trek Catan, a sci-fi re-theming of the award-winning Settlers of Catan board game. Lastly, Set Enterprises was busy showing off a wide selection of games, including the SET board game, Quiddler, and its newest game, Karma. The presence of game publishers is a strong move forward for the event, exposing librarians to the wide range of games and play resources available for using their programs but also showing to publishers the interest and enthusiasm the library community has for gaming. Peppered among the gaming raucous were other islands of interest. Scott Nicholson had his face-painting stand open for business, adorning the faces of attendees with third eyes and butterflies. Matthew Murray had a graphic novel Readers’ Advisory Device (RAD) that he built using a Raspberry Pi machine that dispenses printed recommendations. There was also a Comic Jam collaborative comic going where attendees could add to crowdsourced strips, many of which were initiated by illustrators from Artist Alley on the exhibit floor. Librarian P. J. Bentley shared information about a gamers’ advisory program at his library in Portland, Oregon. And photographer Kyle Cassidy snapped photos of librarians to extend his project that was featured on Slate in February. Cassidy ran a successful Kickstarter campaign to raise funds to attend Annual to take more photographs and turn the event into a documentary, narrated by author Neil Gaiman. The evening was a huge success thanks in large part to the hard work of those involved in planning and promoting, along with the ever-growing support and interest of the library community in all things gaming. The GameRT program, again presented by Dr. Scott Nicholson, was Come Make a Game: Library Game Jams. The session was filled with more than 100 people and hummed with enthusiasm rarely seen at programs. “This is the most energy I have seen in one of my sessions,” said Scott Nicholson, associate professor at the School of Information Studies at Syracuse University and director of the Because Play Matters game lab. Nicholson led attendees through the process of running a “game jam,” giving them the tools and confidence to run one back at their own libraries. Game jams are design activities, either analog or digital, in which groups of people work together to make a game within some constraints, such as time, materials, and/or theme. Attendees began by playing Awesome Time, a game with almost no rules other than to take turns rolling the dice; the first person to the end of the path wins. While amusing within the context of the group, the game is intentionally broken with lots of uncertainty in the rules. (What happens if you land on another player? Do you need exact count to get to the end?) 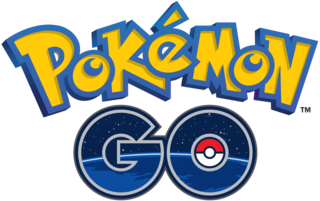 It also lacks any real mechanisms or a theme, features that often make games engaging and enjoyable for players. That is where the “jam” comes in. To help with the task, each table was loaded with game bits from Eagle and Gryphon Games’s game designer toolkit, which was a product of a successful Kickstarter campaign (the company plans to release more toolkits soon). The rest of the session was a frenzy of creativity and laughter as librarians worked together “fixing” Nicholson’s broken game and slowly designing their own. While time did not permit sharing, in application patrons and student could then share their game designs with one another or introduce them to the community in an open house or game fair where they can talk and discuss their designs. All the fun and excitement aside, the program was important as it helped showcase how gaming programs in libraries are moving forward, beyond recreational and outreach services, and that gaming can support instructional support and tie in with maker and community programs.